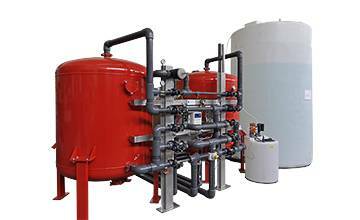 REVERSE OSMOSIS removes water from the whey, concentrating it up to 3 times the initial volume: this provides huge savings both in the transport of the whey and in the evaporation processes for its pulverization. NANOFILTRATION, on the other hand, removes the water and the monovalent salts from the whey (sodium and potassium chlorides), and a part of the calcium and magnesium salts, thus realizing the whey concentration and the partial demineralisation of the same. This technology allows to achieve higher concentration values than the osmosis (4 times), producing a concentrate with low salinity and higher protein value. 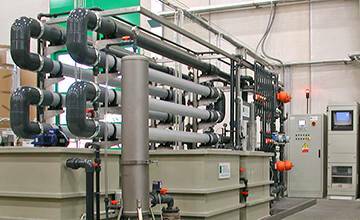 The permeate product can be discharged directly into the treatment plant or reused as it is. 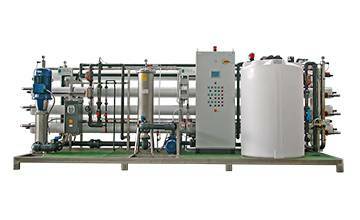 If, on the other hand, a higher degree of purity is required for its recycling, it will have to be reprocessed with a further stage of "POLISHER" REVERSE OSMOSIS. In livestock farming, in the breeding of white-fleshed calves, the use of concentrated whey produced with Tecn.A. 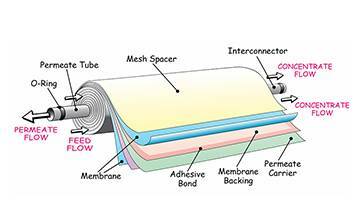 's membrane systems (whether osmosis or nanofiltration), guarantees safe and considerable economic advantages to farmers.